the local magazine of the Greek Community in Hungary. My gratitude goes to dr. Nikolett Miliosz who approached me with her questions. For those of you who have seen the movie “Eat, Pray, Love” starring Julia Roberts there is no need to introduce you to the main character. The woman who has everything what a woman can dream of, still not feeling comfortable in her own skin. As lacking something, she keeps thinking of something bold and finally decides to leave the safety of everyday life and set out to discover the world. She is not simply a tourist, striving through Italy, India and Bali to discover life’s simple pleasures and find balance in her body and mind, to eventually find her spirituality. 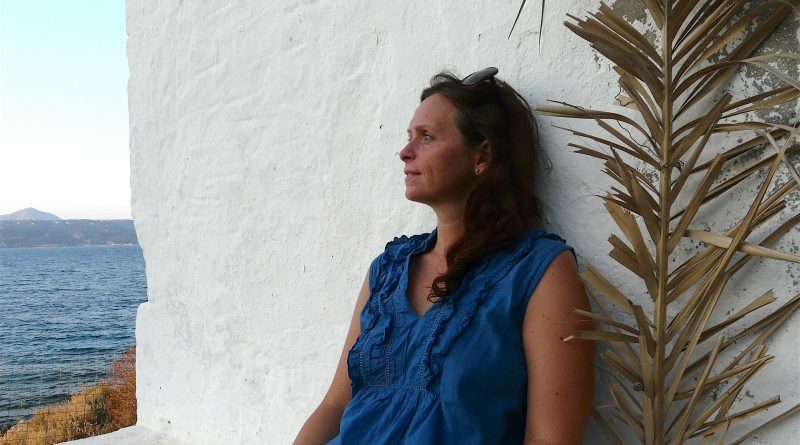 This month I made an interview with Ildiko Berecz whose life had taken similar turns: she had a bigger dream, and leaving her life in Hungary behind headed for Greece to settle down and find her place. 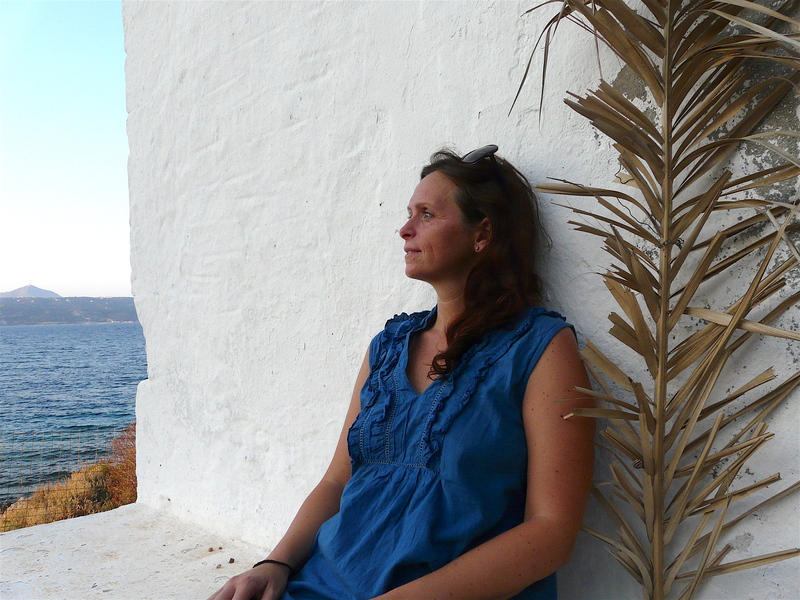 She aspires to discover the Greek daily life and live it in her own way as fully as possible. Many of us are seeking a more peaceful way in our busy daily lives: by listening to Ildiko we might even get closer to ourselves! It is a major life decision leaving everything behind and to start a new life in another country. In many cases, it is rather motivated by a new love or a new work opportunity. How the idea evolved that Hungary is not the place where you want to live? There has always been a curiosity and desire in me to savour the actual way of living in other cultures. But also I loved Hungary just as much, and my family, my friends, love, work, and new life challenges always kept me busy and strongly tied to the country where I was born. It’s been the result of a very long internal process of development that I had a life-changing recognition in 2012. I realised that the word “dream” in my interpretation was like a beautiful cloud high above in the blue sky that you only admire from a distance and something that would always remain out of reach. You can soak the beauty of it just as floating there in front of your eyes, you can imagine how it might feel to sit up there and wondering how the world would look from that height … Although, dreams are meant to be lived! Dreams are there for you to make them come true! And to achieve them is actually very simple: you only have to tune in to the idea first, devote yourself to it, and start making a few steps ahead your goal. What did your loved ones have to say about your decision? Did they encourage you, or did they try to dissuade you? My friends understood me quite well, they encouraged me, and in fact, many of them looked at me with shining eyes and even envied me a bit. Just like me, most of my friends are open-minded with a cosmopolitan approach and life-style. Some of them even had an opportunity already living in another country at some stage of their lives. Eventually, it was most difficult for my family to accept this radical change. Although they supported me, my parents and grandma felt really heart-broken about my decision, shaking their heads with “here you had everything one could wish for”. There are many interesting cultures in the world? Why did you choose Greece? I’ve been to Greece once during my college years. At that time already I was very fond of those Greek specialities that some of my fellow travellers did only find rather interesting. Later, me choosing Greece however, had a complete different story. In 2009, I was sent to the island of Crete for two weeks in order to follow the Mediterranean diet that is considered to be the healthiest one in the world. As part of a holistic treatment I was also prescribed to spend the most of my time outside, to jump into the sea and benefit from the positive effects of the salty water, enjoy fresh air and sunshine and gain vitamins and energy from all this. The purpose of this trip was to rebuild the balance in my body that was said to be disrupted as a result of the combined effect of various factors. One of the key factors was stress, and getting to know the Greek lifestyle, their passion, their way of being with nature and everyday human relations helped offset a lot of the stress I was carrying. Greeks are great masters for lifestyle changes. I can basically say that I took in the whole culture on “medical” prescription through a brilliant holistic therapist who was of Greek origins and whose Draconian instructions re-introduced me to life, and made me understand the importance and effect of every little thing within. The diversity of Greek cuisine, all the natural ingredients, conscious use of spices and herbs, the way we prepare our food, the effects of our eating habits on our daily lives, as well as age-old experience, covering all facets of life radically transformed my way of seeing things. My first trip to Crete was then repeated every year, and I tried to take the most out of these visits by discovering the island, learning about the traditions and getting real-life experiences. Then the place to go was not even a question? Not at all. I immediately fell in love with Crete when I came for the first time in 2009. I had been travelling to a lot of places around the world and although it happened many times that I imagined living at one of those places, but none of them engaged me as much as Crete did. Simply attracted me. Crete is a wonderful island, the biggest in Greece, and the fifth-largest island in the Mediterranean Sea. It is the most populous, but neither too big, nor too small, and feels just perfect for me. Crete features an exceptionally versatile topography, you can have the sea, valleys, forests, and the seemingly barren, rocky mountains – and all that comes somehow in a human scale, can be captured, accessible and tactile at the same time. I had been to many parts and places here in Crete in the past few years, but the more I visit, the better I see how much more it has to offer out there to discover. Whether it is a North coast mountain village where a passionate Greek man is promoting the old traditions of collecting resin from a shrub with medicinal properties, or a picturesque secluded Sfakian village on the Southern coast of Crete that can only be reached by boat. What sort of preparation preceded the big move? In the previous years I had a lot of work, and then I had just more… I have always loved to build, develop and promote things, but at some point I had to realise it was way too much, to such an extent that I had to close some chapters of my life. It was really hard. However, every time I finally managed to make a difficult decision and got over it, I was awarded by an incredible amount of energy as well as new doors and opportunities were opening up. One of the great and exciting days I had nice memories of is the day when the first Greek language book arrived. I love languages, I speak fluent English and also some French, and I am good at self-learning. Soon after I started to learn the Greek language, I had to understand that I needed a good teacher here. I called Ghavrilos who owns one of my favourite Greek restaurants in Budapest. He introduced me to a fantastic teacher Vasilis Stefopulos with whom I took private lessons for 3 months before moving to Crete. It was fun learning the language with him and also an opportunity to learn more about the everyday Greek life, the Greek traditions, geography and culture. There is a saying: “Your home is where your heart is.” Where is your heart? It is just about a year ago that I came to Crete. Although I made a couple of trips back to Hungary since then, the meaning of “visiting home” has a different translation now, with a reverse direction. It is somehow an interesting feeling, like being a double agent, and sometimes it is difficult to determine where I really belong. In fact, my place is where I am in the given moment. And I am in the now. The first six months was a lot of travelling, I was not really looking for my place, rather simply followed the signs and my intuition to go where things were happening, a lot of these mostly based on momentarily impulses. My passion for aromatherapy took me to new and unknown roads, it guided me to meet with local farmers, researchers and I really did go with the flow and took my time to spend a lot of time together with these lovely people. I wanted to see their lives, hear their stories, understand their struggles, learn from their wisdom, enjoy their company and have a feel and new experiences of a life that was previously unknown and hidden to me. By month nine, I could slowly narrow down the area where I intended to settle down – for at least a couple of months… –, and moved to a beach-side apartment in a village near Chania. A great choice for many reasons, but primarily as it was only 600 meters from the town hall where I started to go to the Greek language classes within the framework of the ODYSSEUS Lifelong Learning Programme. What was your plan when leaving? For how long did you want to stay? Did you have in mind staying over permanently? When I came to Crete, I did not fully believe in my dream, but I was truly determined and purchased a one-way ticket thinking “wait and see what happens”. I was full of plans, a real grand one, and not any tiny bits could be given up for any reasons. But all this was very deeply within me. Something only my heart could tell about, but I found it almost impossible to explain my ideas to anyone back home. They have been much more complex for everyone to understand, and I could not specify a certain job, or indicate a single occupation that I wanted to carry. Since many people have known me for my strategic approach, my complex way of thinking, and my creativity to put things together, it was confusing for them to see that I go out to the world with an open mind and give freedom for the rest to come. I had to take my time to see what I could do with such a big shift, what I truly feel like doing, what I am capable of doing, and to believe in that all. Also to experience that here and now, in this life and in this world, it is possible to achieve a certain kind of stability that still provides me with continuous renewal cycles, an ongoing renascence that is so much part of me. I feel very good about being here, I’m really in the right place, and yes, I feel like I could stay here forever… and meanwhile I also got to learn that nothing is set in stone, and living by the sea you literally see that even the hardest rocks are being shaped or even moved by the persistent works of the water. What is it that motivated you the most? Getting to know the true face of the Greeks, or to find yourself? What were the first few days and weeks like? My journey started in a place close to Heraklion called Agia Pelagia. I stayed here many times already during the previous trips when I got to know some very nice people. Initially, I tried to take it easy, still, I was focused. Shortly after my arrival to Crete, I started to get in touch with other people with whom I had exchanged some emails from Hungary about my interest in herbs and aromatherapy. An English couple – once IT professionals – who had moved to Crete over 10 years ago and ended up running an organic lavender farm. They speak Greek, they have a lot of respect for local life and had learnt to manage the Cretan way of sorting out things which means a huge contrast particularly in comparison to the English matters. They have fabulous stories about their adventures in Crete and always fill me with lots of inspirations. Also in the first few weeks, I visited another family in the mountain village of Kallikratis. Together with them I collected Cretan mountain tea at a height of 1400 meters. We also went to pick various other herbs, and I could finally watch how to distill plants and make essential oils. 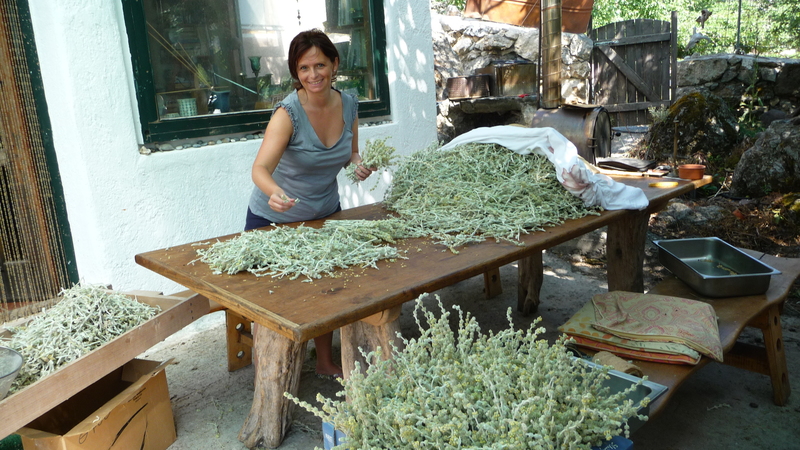 Janina and Babis, the founders of Wild Herbs of Crete in Kallikratis have become not only my friends but also part of my family in Crete and their place is like a weekend retreat for me. Whenever I need some time out to recharge my batteries, I am heading off to their magical place in the mountains. Similarly to this, I also often go to Gill and Derek at The Lavender Way near Kournas lake to have some fun and also do some farm activities. These people are always there to support me and I also help them wherever I can, and all the way through I have wonderful, exciting & fun experiences together with them. Many people travel to get to know a country, but they rarely break through the role of a tourist. You stand out from the crowd and eager to try things no matter if it is tiring, requires a lot of work and energy, or sometimes takes your efforts beyond normal… Does consciousness take a strong part in your endeavours? I think when you have such an incredible chance of living in another country, the main point is to really get to know the local habits and everyday life of people. It is just like you can finally walk around a bit in their skin and try to have a feel and see the world through their eyes. This is such a unique opportunity, since so far I only knew how the Greeks are being seen by the world. Opportunities find me due to my openness, and I don’t miss to recognise and take the chance when it comes. I tried things like picking oranges and avocado, harvesting lavender. 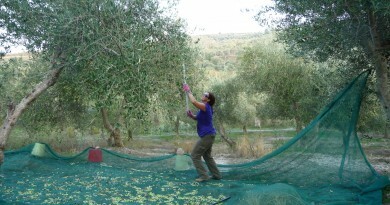 I took part in wine treading as well as making olive soaps. 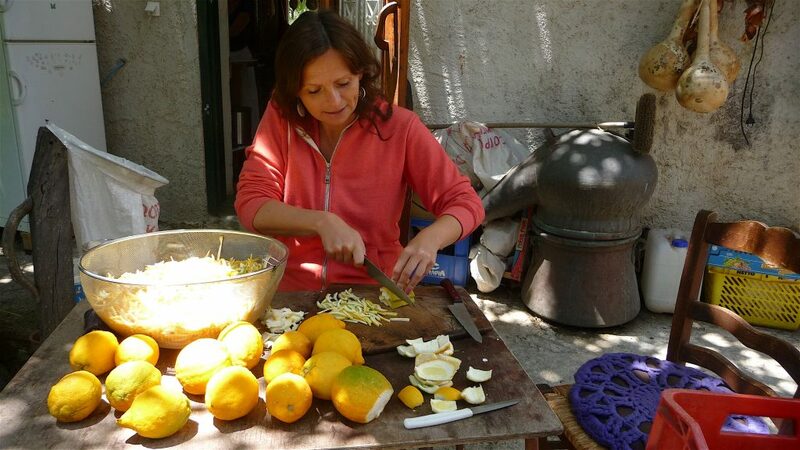 I was cleaning artichokes, oregano and thyme, and sliced bergamots to make marmalade. I learned to cook traditional Greek food, and also how they make ‘mizithra’ the fresh and soft goat cheese I eat. There is no more wonderful feeling when the olive oil in my kitchen is made from the olives I harvested with my own hands. One of my coolest experiences lately was sheep shearing. I was introduced to the practices of this mid-summer work by the shepherds who only look gruff when you keep the distance, but they give you a warm welcome and a helpful hand with a big smile when you dare to get close to them. I do a lot of research, documentation & development, get inspired and I inspire others. There is a program mentored by the European Sustainability Academy, in a small settlement called Drapanos, that is aimed at supporting women innovators in setting up and sustaining their social enterprises. When I attended their conference for the first time, I had a chance to set out my vision for Crete. It is about changing the way of people coming to Crete and transform mass tourism gently towards the direction of increasing the number of visitors who value and appreciate more the local culture, admire and respect the island’s natural treasures. In my opinion, agrotourism and other alternative forms of sustainable tourism are of strategic importance because these can ensure the long term balance of our healthy living with a rational economic operation in a sustainable natural environment. I like mentoring people, help to bring the best out of themselves, and show the way how to make things move. There is an ongoing change all around us and more and more people feel that we are part of a major shift. Our life has to be re-defined in many aspects, and I believe that we are not talking about crisis anymore. Instead, it is time for transformation. Transformation offers the possibility of rebirth, and it requires considerable development work in both the personal and professional life of the individuals. I really enjoy having transformative journeys with visitors in Crete. Along with that, I also help local people to build on to their existing values, show them how to use their power and capabilities in a more effective way and how to strengthen their talents and live a much more successful and happy life. How do you see Greek people? What are the major differences compared to Hungarians? Greeks are passionate about life, and above all, this is admirable. They add importance to even the smallest happenings and give a voice to express it in everyday greetings and big celebrations alike. I found Greeks’ pride very fascinating, and they have a sort of dignity that Hungarian people often miss. They are not cocky or bumptious, but they have a kind of self-confidence that means less question marks and unnecessary hesitation. Greeks have a think about an issue quickly with cold logic, and you can also discover they have a very special devious mind-set already the way they formulate a question. On the other hand, you might very often find them totally let things go right after spinning around the same problem that they eagerly wanted to solve before. Meaning, that with the same dynamism they carried with the intention, the momentum takes a resting position and the matter get easily forgotten completely. In case the dynamics becomes more balanced, and they can get better organised next to going with the flow, Greeks can make miracles. I can see now that I have an impulsive personality too and it is completely natural that things like the weather or phases of the moon can influence our everyday life. I have also learnt that I am free to designate my own boundaries, and I am not supposed to solve everything, everywhere, every time. It is important to focus on what’s important for you, worth listening to your intuition, and also pay attention to encounters in your life wondering what they try to teach you, what is it there as a lesson for the other, and where the two of you have a cross-section of the joint exercise.